It would be hard to name anyone who has had more of an impact in the realm of animal research and wildlife conservation than Jane Goodall, whose 45 year study of wild chimpanzees in Africa is legendary. In JANE'S JOURNEY, we travel with her across several continents, from her childhood home in England, to the Gombe National Park in Tanzania where she began her groundbreaking research. Most know Jane Goodall for her famous studies of chimpanzees, but her environmental messages to younger generations may be her greatest achievement. She is a beautiful soul and this film is wonderful! Covers a longer period of time than does 'Jane', the more recent, more celebrated biopic, but does it in a duller way. 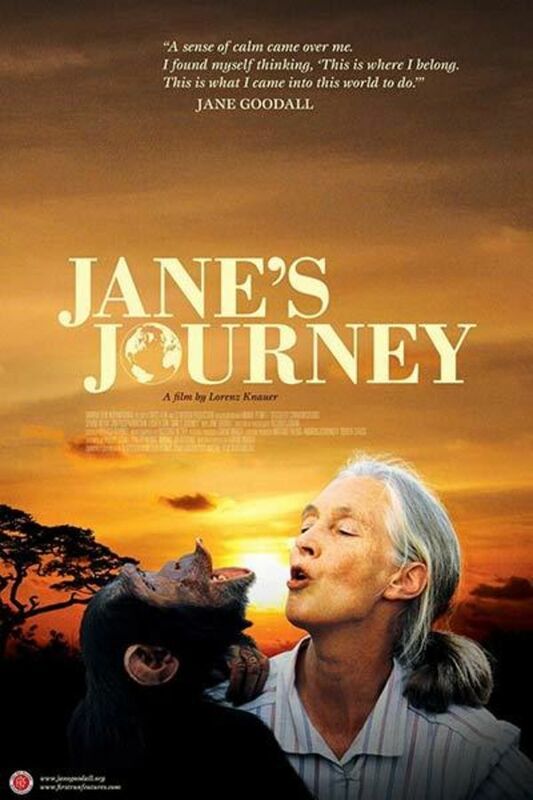 Watch this if you want more info on Jane Goodall, watch the other one for a far better introduction or backgrounder. Beautifully told story of a brilliant and fascinating woman. For those of you who love the fast-paced, true crime, "gotcha moment" type documentaries, this film may seem a tad slow and long. That's my only critique of an otherwise lovely movie. What's not to adore about Jane Goodall? Right. Nothing. What a humanitarian. Jane Goodall is such an interesting woman who is constantly surrounded by situations created by war and devastation. Unfortunately, the film bypasses the tension in which Goodall's work exists, which makes for a somewhat boring documentary. The film focuses more on Goodall's positive characteristics and her message of peace -- but these things lose steam without bringing a fuller understanding of the injustices which she works to undo. Thank you to the film makers for taking us along with Jane Goodall as she moves through her present, and also for so articulately laying out her past. I loved all of the old photos and home movies from the Goodall family. The film is beautifully shot, and the interviews with so many colleagues and dear personal friends were really illuminating. Thank you for taking us all close in with such an inspirational woman. Beautiful.